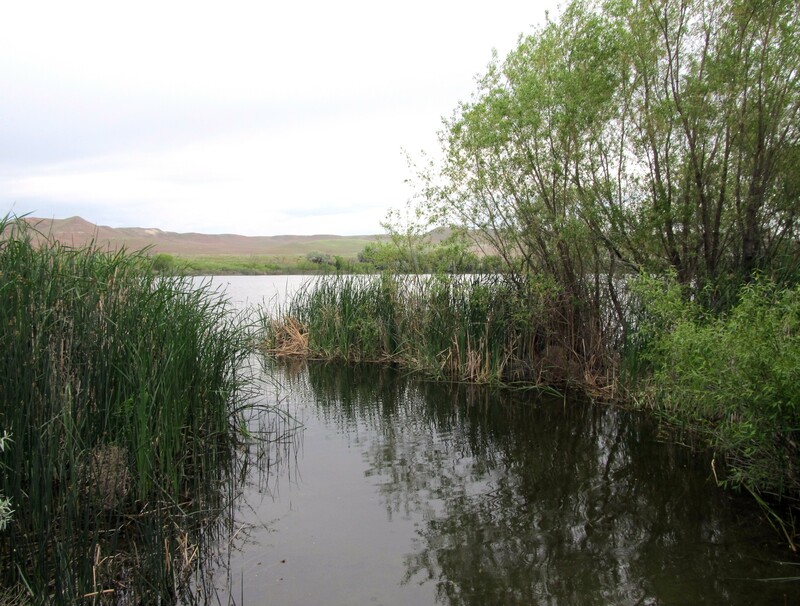 One of the aims of American Wetlands Month is to encourage people to get out and visit nearby wetlands. 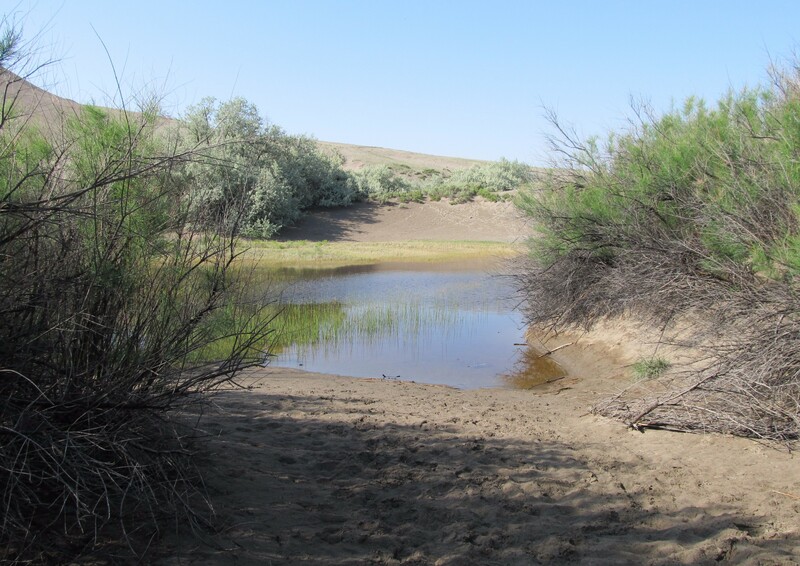 I accepted this challenge by visiting the small lakes and marshes of Bruneau Dunes State Park which is located about 20 miles south of Mountain Home, Idaho (or, 70 miles from my house). 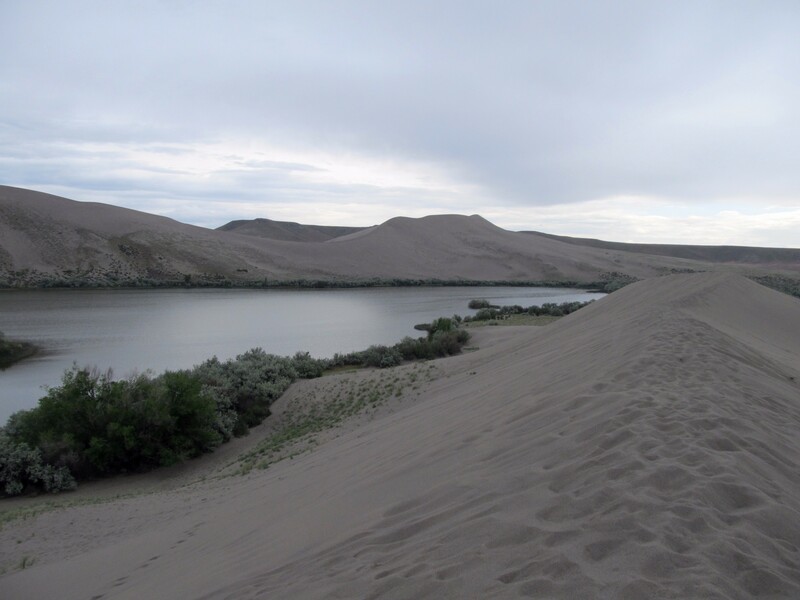 The park is known for its enormous sand dunes, claiming the tallest single-structured sand dune in North America which measures about 470 feet. The dunes began forming about 15,000 years ago during the Bonneville Flood. 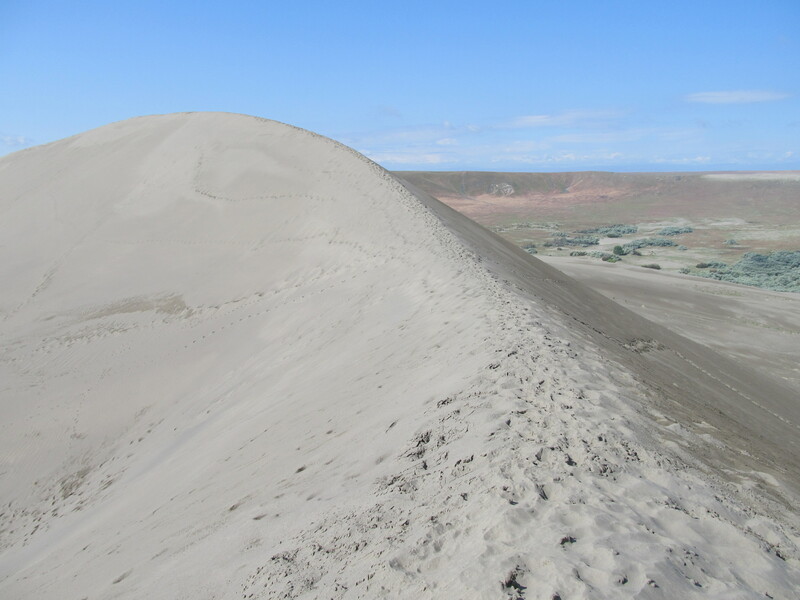 After the flood receded, the dunes continued to grow due to their unique location – a basin in which strong winds approach from both the northwest and the southeast, carrying sand from the surrounding steppes and keeping the dunes in place. Two small lakes and a marsh are found nestled among the dunes, and the Snake River flows just north of the park. 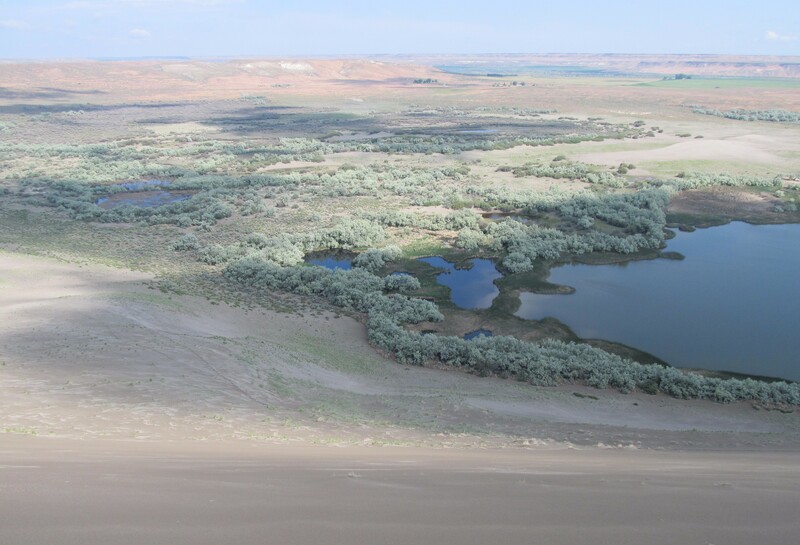 Apart from the dunes and the wetlands, the park also includes desert and prairie habitats and is situated in an extensive conservation area called Morley Nelson Snake River Birds of Prey. If that’s not enough, Bruneau Dunes State Park is home to a public observatory, where visitors can view the night sky and learn more about the stars and our place in the universe. Climbing the sand dunes (and, if you’re up for it, sledding down them) is understandably a popular activity at the park. I spent a decent amount of time on top of the dunes, partly because the view was great and because the mosquitoes seemed to be absent up there. Yes, when visiting a wetland, you are advised to carry mosquito repellent, otherwise the cloud of mosquitoes that will undoubtedly surround you will make for an unpleasant experience. They will also make it difficult to stand still long enough to take a decent picture. The marshes and shores around the lakes were populated with numerous wetland plants, including swamp milkweed (Aesclepias incarnata), duckweed (Lemna minuta), cattails (Typha sp. ), and various rushes, sedges, and grasses. 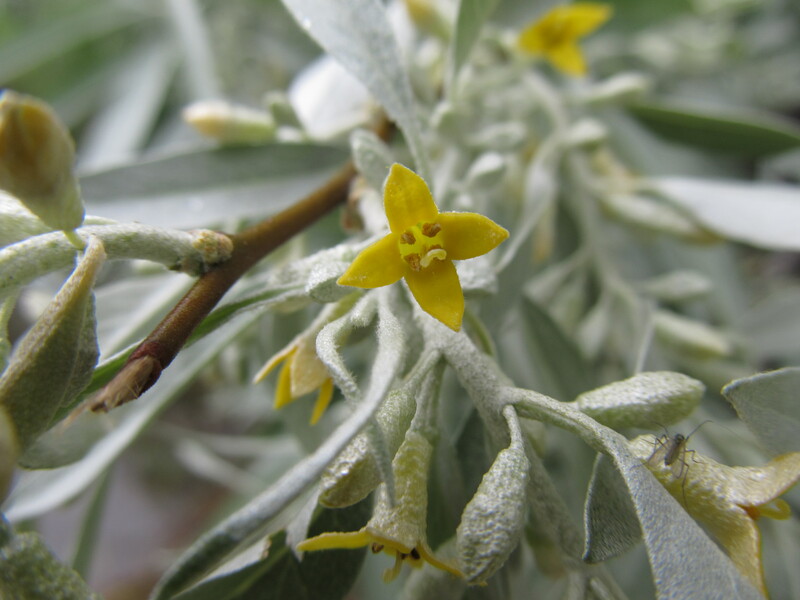 Native shrubs were also present, however the dominant woody plants were (unfortunately) introduced species: Russian olive (Elaeagnus angustifolia) and saltcedar (Tamarix chinenesis). 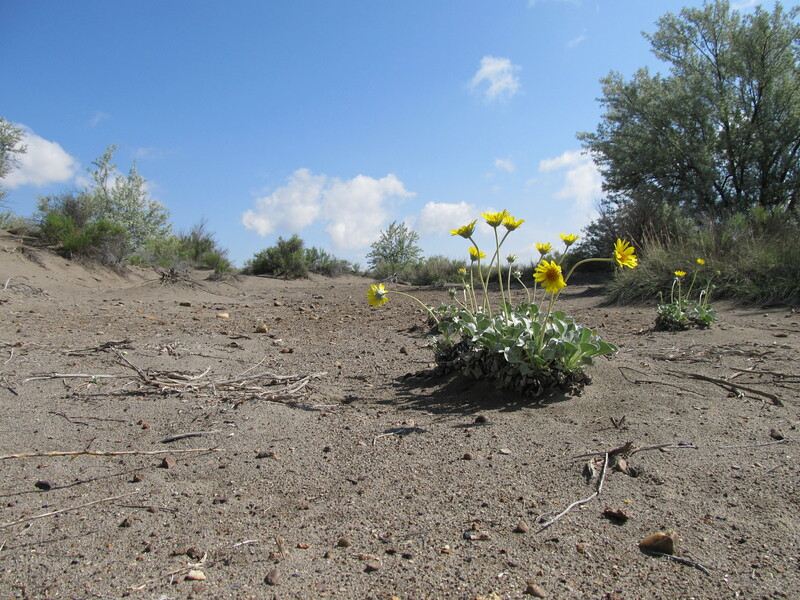 Despite being there to explore and celebrate the wetland, the plants in the adjacent area (which appeared to be growing in almost 100% sand) continued to draw me away. 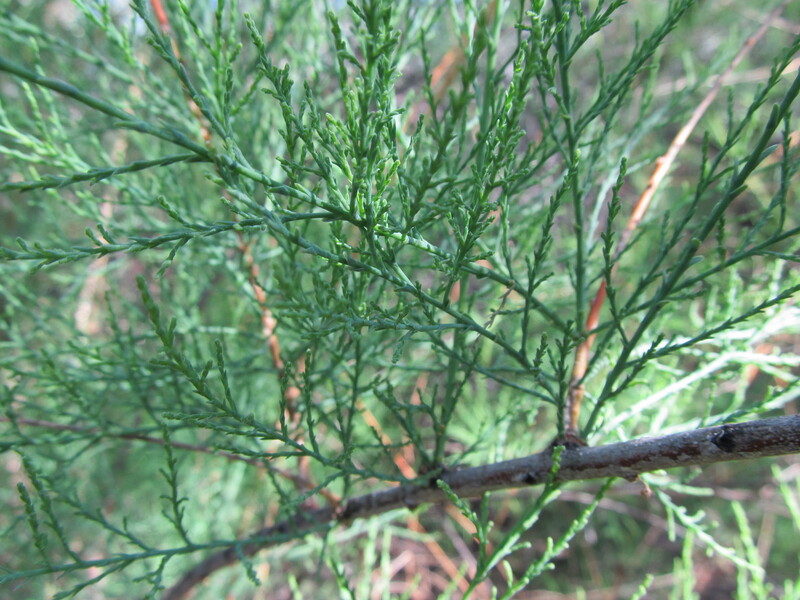 Some I recognized easily, while others I could only identify to genus or couldn’t identify at all. Some notable observations included low lupine (Lupinus pusillus), sand-dune penstemon (Penstemon acuminatus), pale evening primrose (Oenothera pallida), and species in the genera Astragalus, Erigeron, and Eriogonum. 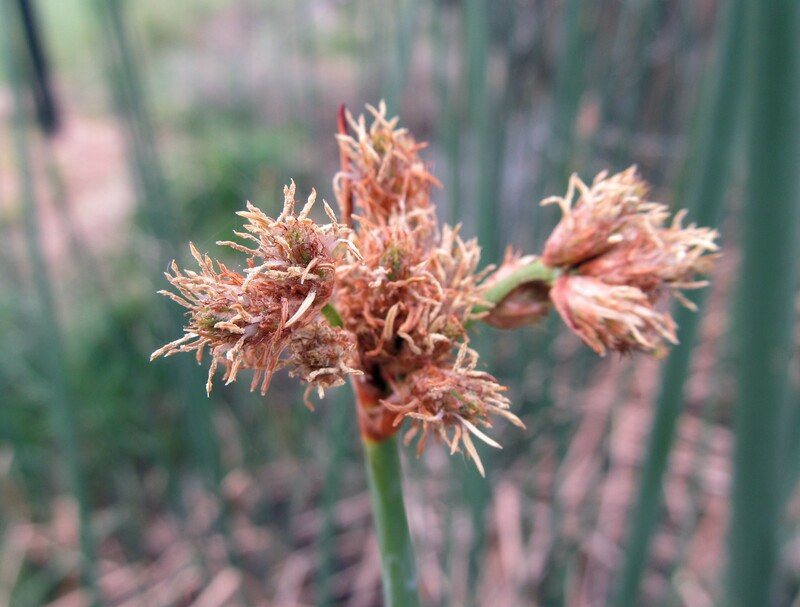 Two bunchgrasses were particularly common throughout the area: Indian ricegrass (Achnatherum hymenoides) and needle and thread grass (Hesperostipa comata). 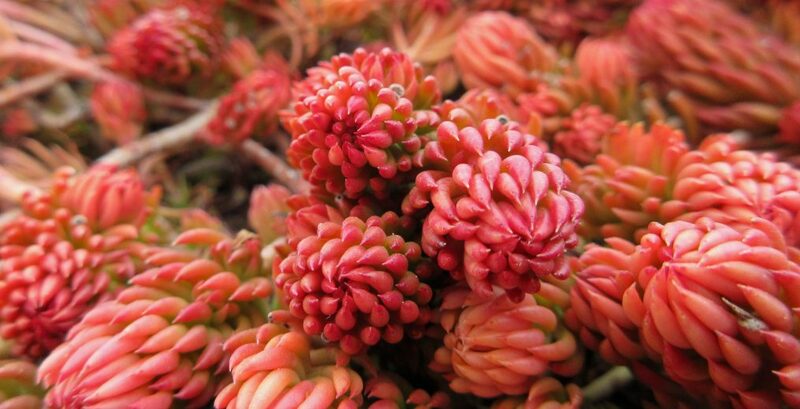 All of these plants are worthy of being photographed; however, the wind makes that difficult to do. 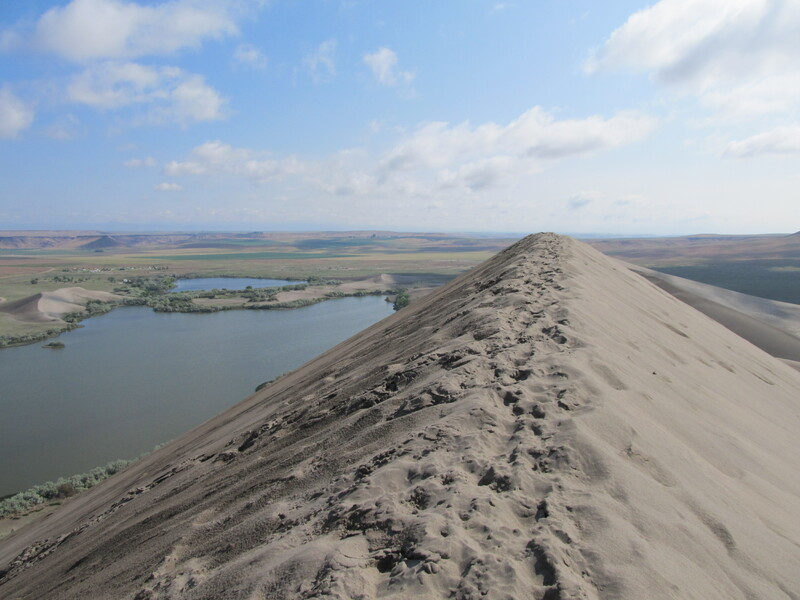 Idaho is a windy state, and an area composed of wind-formed sand dunes is particularly windy. Between swarms of mosquitoes and consistent wind, capturing decent photos was a challenge. Aside from those minor nuissances, I had a very enjoyable time and hope to visit again soon. Have you visited a wetland this month? Or do you plan to? Share your adventures in the comments section below. 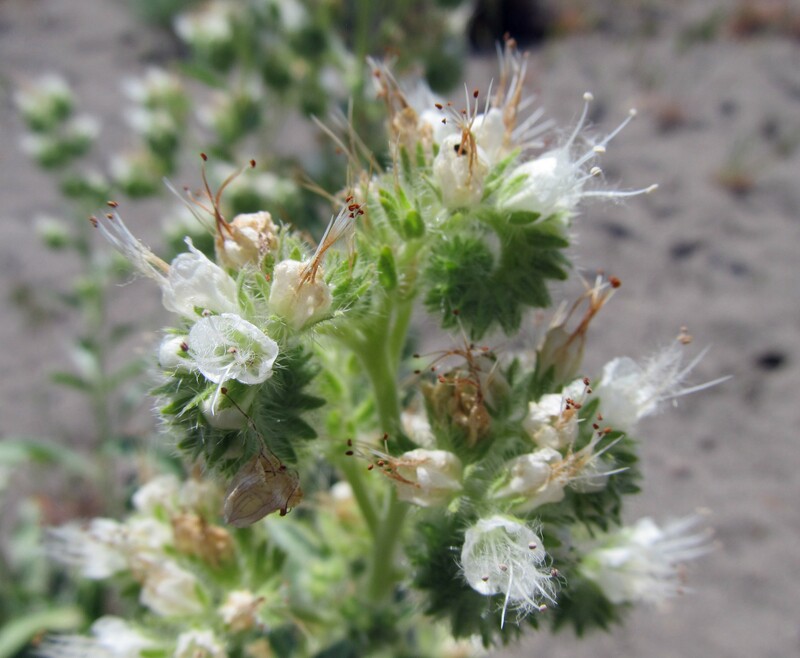 This entry was posted in Botany, Plant Ecology and tagged American Wetlands Month, Botany, Bruneau Dunes State Park, field trip, flowering plants, hiking, invasive species, mosquitoes, native plants, sand dunes, wetland plants, wetlands. Bookmark the permalink. What a wonderful write up of your trip to the sand dunes. Oh, thanks! It was a fun trip.